You likely already know that every diamond gets qualified and then priced according to carat, clarity, cut, and color. This is also known as the four “C’s”. However, are you curious about who does the grading of the diamond that a salesperson might show you? Put another way, how can you know that a shown diamond which the seller claims as “G color with VS1 clarity” is truly rated as such? For example, consider a scenario where you buy a diamond that’s been graded at “0.76 carats with a G color and a VS1 clarity”. To be sure that the diamond grading is accurate, you choose to take that diamond to five different graders or appraisers. You’d likely discover that those five appraisers wind up giving you three, or possibly even four, different grades, some of which might differ from your original appraisal. Would you feel like the original seller lied to you? 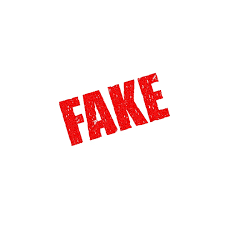 Would you assume that the original seller engaged in deceptive or unethical business practices? It is possible that the original seller had a valid appraisal. Could it be that the other jewelers happened to be the ones providing improper information? How could you possibly objectively compare diamond prices when any individual diamond can get that many different gradings with so much subjectivity? Now you can likely sympathize with what an average shopper might have to go through when looking for a special diamond. It makes you wonder if there’s a better way of doing things. You should shop for diamonds that aren’t just certified by anyone but certified by the GIA. The Gemological Institute of America issues GIA certificates, and every jeweler and diamond expert in the industry is familiar with them. GIA grading is recognized across the jewelry industry as being the most unbiased, objective, and accurate source of opinion in terms of diamond grading. Comparing the prices of GIA certified diamonds is now easy. You don’t even need to visit a jewelry store if you want to make a comparison. Just call up a jeweler in your area, asking for their price for a GIA certified diamond with a good cut that’s rated at 0.76 carats, VS1 clarity, and G color. If their normal prices prove competitive, they’ll likely quote you their exact price. Call enough jewelers, and you’ll find the one that has the best-priced diamond. In theory, you can make your decision before you ever set foot from your home. Having said that, there are factors you need to consider other than price. You should ideally buy your diamond from a jeweler that offers robust guarantees, features quality workmanship, and is known for their sterling reputation. This might all sound easy, but how do you know who sells diamonds that are really GIA certified? Nearly every jeweler sells them, even though many might not have some in stock at all times. Some reputable jewelers go so far as to sell only GIA certified stones. You’ll possibly even have some tell you that their own grading standards are just as good as the GIA, or better, so certification isn’t necessary. Others might offer to send your diamond off to the GIA for a certification, which typically takes a month, but only after you buy it. There’s even a group of jewelers that will tell you that a GIA certified diamond will cost you more than an uncertified diamond of the same grade when in truth, the GIA typically on charges $98 to grade something that’s 1.0 carat. A number of jewelers will tell you that they have GIA certified diamonds. What they often mean is that they have diamonds that were graded by a jewelry professional who completed a GIA grading course, which isn’t the same. Keep in mind that GIA has headquarters in Carlsbad, California. The certificates they provide come from only their labs in Carlsbad or New York. Every diamond report that the GIA provides has those addresses near the top of each certificate. When you shop for a GIA certified stone, your one potential disadvantage is that diamonds of particular qualities and sizes might have tremendously limited availability. In general, it’s hard to locate certain diamonds that have GIA certification. They can include but are not limited to diamonds with price tags under $1,000, stones that weigh under 0.5 carat, and anything with respective colors or clarity less than I and S12. Exceptions do happen though, so certainly make your phone calls. There’s nothing to lose in asking around. Having said all that, there are numerous advantages to buying a GIA certified diamond. For starters, you’ll know just what you’re getting. 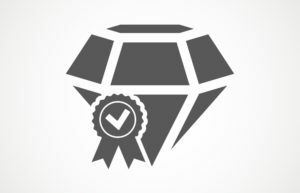 Your certificate will tell you every crucial factor the diamond has. Furthermore, your seller will understand precisely what is being sold to you, so there shouldn’t be any future misunderstandings. You don’t have to worry about buying a diamond with fractures when you buy a GIA certified stone. Some diamonds have surface cracks that might be filled artificially so that they look like they are much better stones than they really are. In short, they’re low-caliber diamonds fudged to look wonderful to the naked eye. GIA won’t even certify a diamond like that. When a diamond has a GIA certificate, it also means you’re not buying any synthetic diamonds. Human-made diamonds are a real thing, and they started hitting the market back in 1977. Such diamonds are real, and not diamond stimulants like CZs. At the time of writing, an average jeweler had no way of distinguishing between a natural or man-made diamond. If you buy a diamond that is GIA certified, you get to enjoy an unparalleled sense of confidence, knowing your stone’s real value. Given that jewelers are typically inclined to give price quotes over the phone, there is tremendous competition for GIA certified diamonds. Jewelers often put low prices on some GIA certified diamonds so they can lure potential clients into their stores. That means that things like slick sales tactics, spotlights, chandeliers, and other extravagances are then meaningless. It’s the combination of price and certification that will sell a diamond. 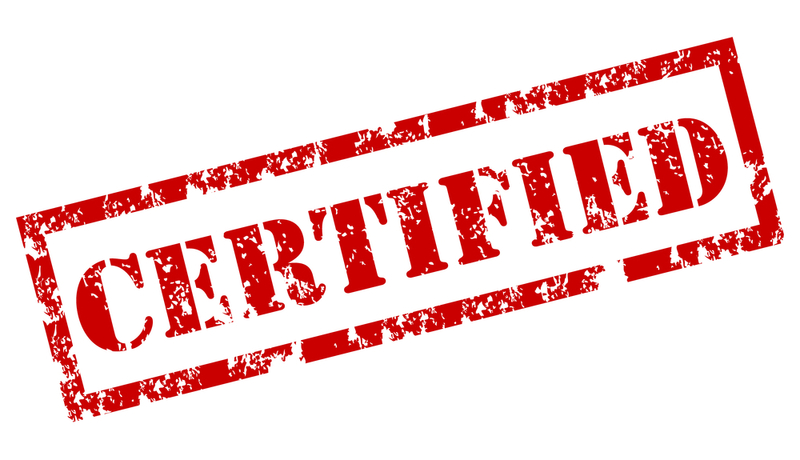 This does mean that when you buy a certified diamond, you need to be sure that you verify the diamond you get matches up with the certification you are given. I hope you found this article helpful. Northwest Diamonds & Jewelry in Portland OR is a certified GIA diamond dealer. If you have any questions or would like to view our extensive stock of beautiful stones and settings, you can check out our site here or view our phone and address below.